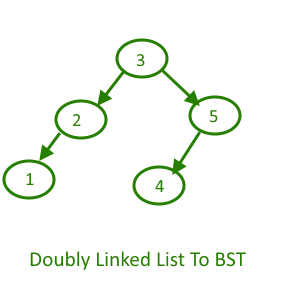 Get the size of the Doubly Linked list. Make the middle node as root and assign the left subtree( constructed in step 2) to root’s left. 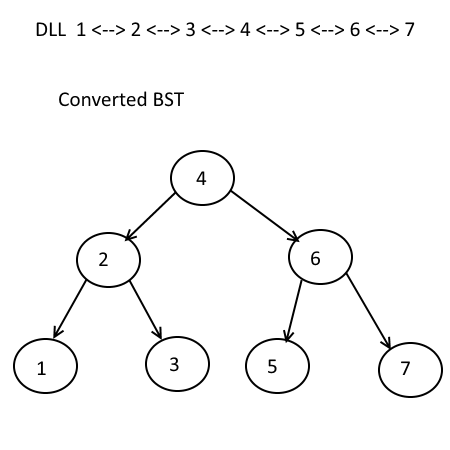 Recursively construct right subtree and link it to the the right of root made in step 3. 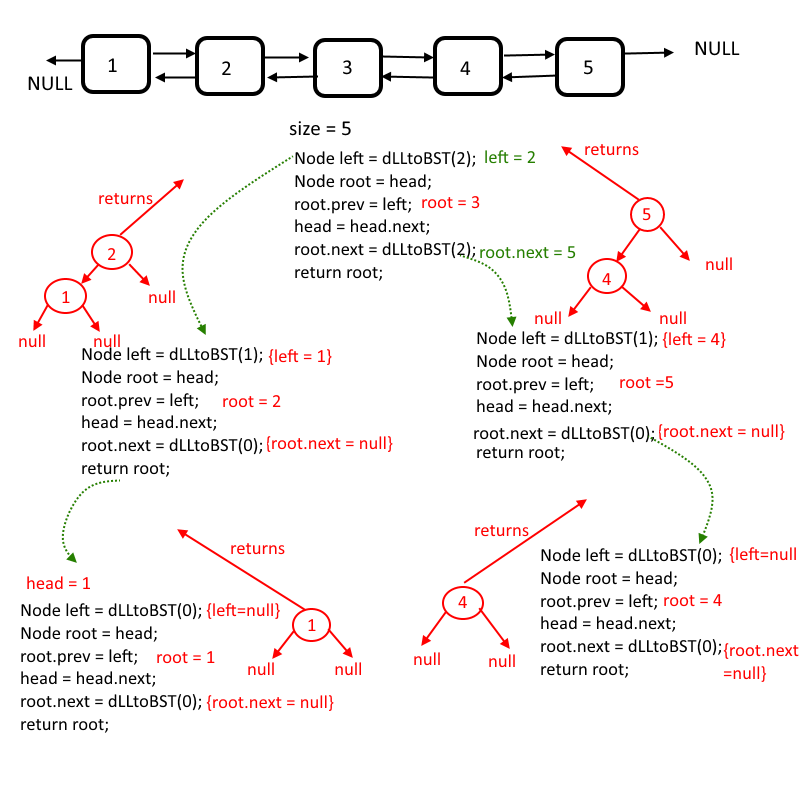 Next story Given a binary tree, Print All the Nodes that don’t have Siblings. 228 queries in 0.120 seconds.